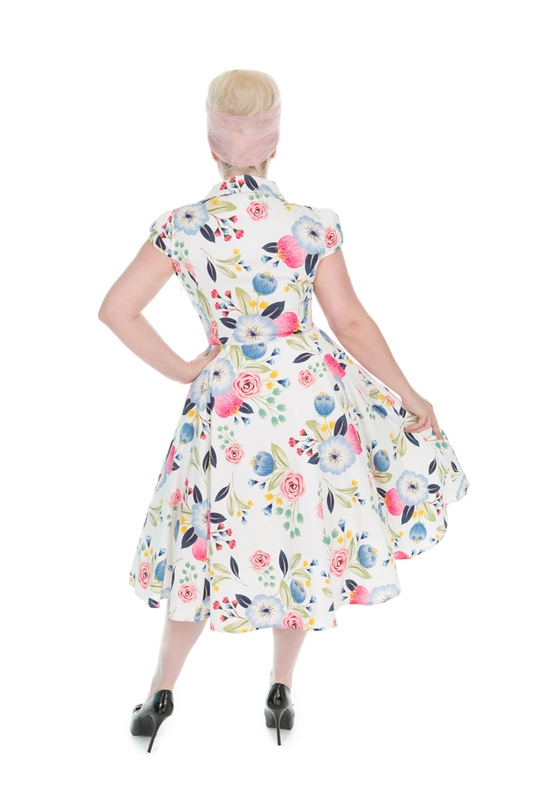 White Blossom Tea Dress: We Adore This Lovely Sweet Vintage Dress, What A Summer Divine Set On A Simple Yet Sturdy White Cotton Blended Fabric, With A Subtle Floral Print In An Array Of Soft Colors or the Print Will Surely Have You Falling In Love, With A Great Choice Of Pink & Blue Floral. 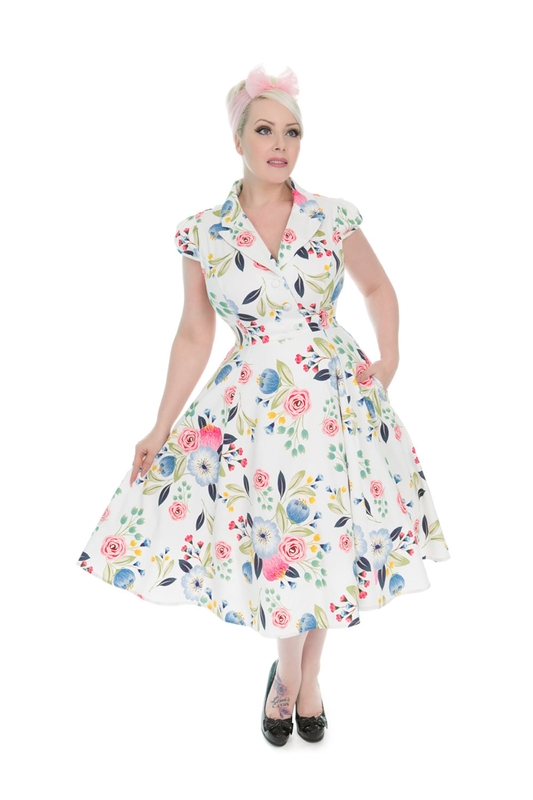 The Neckline Features Our Classic Shirt Collar Style, Detailed With Diagonal White Buttons, Just Like Our Top Seller (3469) Finishing Off We Have Capped Short Sleeves For That Classic 50s Vintage Style, And In Seamed Pockets To Keep Your Hands Warm If Need. Blossom This Season With Another New Style From Our Summer Collection.